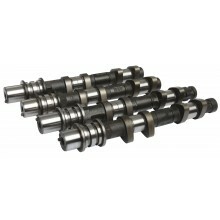 This range of Kelford Camshafts suit the Version 5-6 engines that do not have AVCS. In this range we list camshafts to suit the stock bucket with shim on top and also some higher lift versions that suit engine builders that change to the 'shimless' buckets. The cams for shimless buckets cannot be used on the conventional shim on top system. High performance camshafts for Subaru EJ engines are our second most popular product and they are found in race engines all over the world. We believe that Kelford Cams make the best high performance Subaru camshafts available. All of these cams are manufactured in-house using ultra modern design systems and ground using masterless CNC grinders with CBN cutting wheel technology for superior quality and consistency. 256&252/264 Degrees advertised duration. 9.35mm&9.35mm/9.35mm lift. 268&264/264 Degrees advertised duration. 10.30mm&10.00mm/10.00mm lift. 274&270/270 Degrees advertised duration. 10.60mm&10.60mm/10.60mm lift. 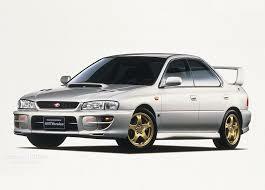 Custom camshafts for Subaru EJ20 WRX Sti Non-AVCS (Version 5-6) engines.